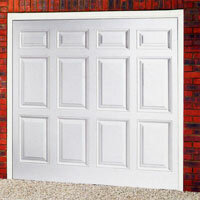 ABS Doors at substantially reduced prices. 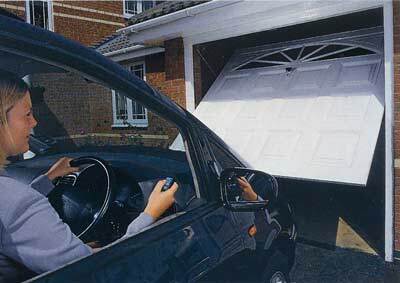 Our wide range of ABS doors are made from a tough yet flexible material commonly used to make car bumpers, so when it's knocked, the door panel flexes then bounces back as good as new after up to a 5 mph impact.. Fully bonded steel stiffeners at the rear of all ABS doors reinforce the panel and help protect against forced entry. If you are looking for a garage door that's going to withstand the knocks and bumps of family life, you need look no further than Bahama garage doors deep, crisp panel embossments. 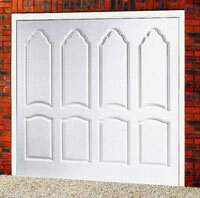 Modern manufacturing techniques allow us to incorporate raised and fielded panel detail traditionally found in hand-crafted joinery, but without any joints on the face of the door which over time could split or let in water. 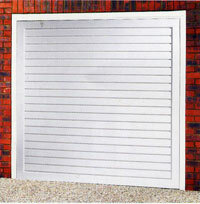 Corrosion resistance ABS is the perfect antidote to face deterioration, ideal for coastal areas where its tough, resilient material is impervious to attack by salt and sand spray. 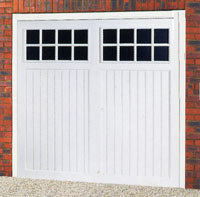 Customer recommendation via Checkatrade "Excellent service, quick and good job"
The smooth ABS is a fully finished material that needs no maintenance other than the occasional wash down with a soft cloth and warm water. 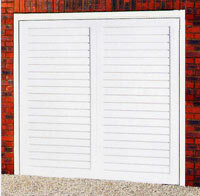 For the full effect, ABS doors can be specified with a complementary low maintenance frame. 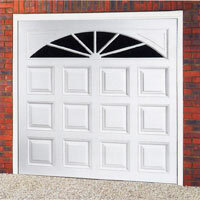 • Impact resistant white ABS garage doors which closely match to white PVCu doors and windows. 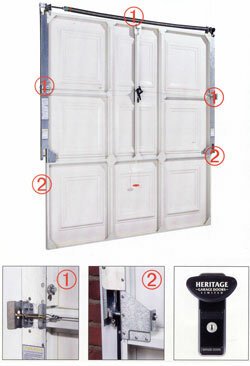 All doors feature multi-point locking, a handle with a separated non-mastered lock recessed into a steel stiffener, advanced steel bracing across the back of the door to help prevent forced entry and anti-lever devices on the side spindles. 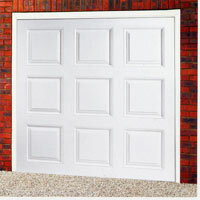 Remote control electric openers allow you to operate your door without leaving your car, keeping you warm, dry and safe. Security code technology protects the system from criminal code grabbing, generating a unique code at every use - just one of the standard security features on all Bahama remote control systems for added peace of mind. positioned in the lower portion.